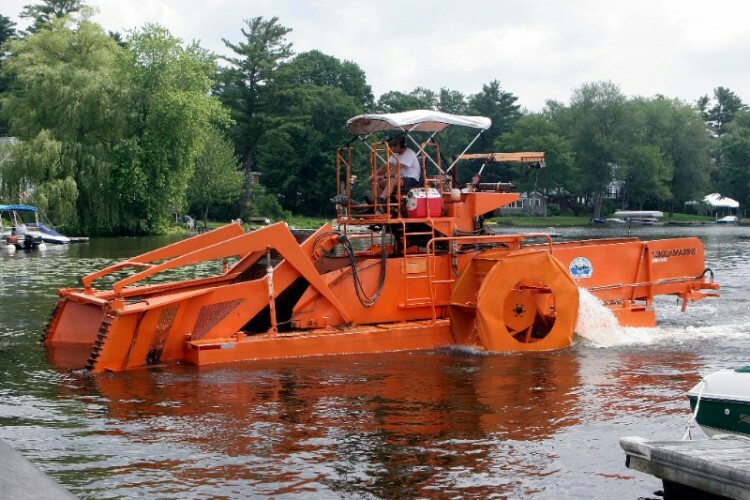 The big orange boat (aka aquatic weed harvester) is coming to Georgica Pond this spring. Macroalgae is a general term for algae that grow in fresh and salt water. At Georgica Pond the dominant species is a filamentous algae called Cladorphora vagabunda. As all users and friends of the pond know, in the last two years there have been major macroalgae blooms in the pond. The blooms have typically started in May and died out in August. This growth is accelerated by excessive amounts of nitrogen and phosphorus entering the pond. Research by Dr. Christopher Gobler of Stony Brook University has verified that the most significant source of these nutrients is wastewater entering the pond through the groundwater. While the solutions to reducing the amount of nitrogen and phosphorus in the groundwater are complex, expensive and will take many years, there are actions we can take right now. The Friends of Georgica Pond Foundation (FOGP) in partnership with the East Hampton Town Trustees has contracted with Solitude Lake Management, a company that specializes in managing aquatic ecosystems. Solitude will bring the big orange boat to Georgica Pond where it will harvest the macroalgae Monday-Friday from May to August. Dr. Gobler will analyze the nutrient content of the macroalgae and map its spread and volume. 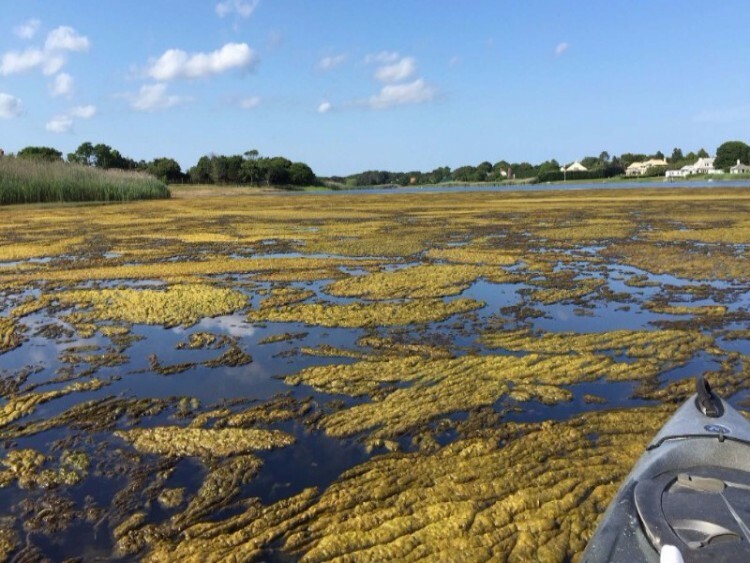 This effort will not only help remove much of the macroalgae in the pond but determine whether harvesting the macroalgae will be a helpful nutrient mitigation strategy. Needless to say, without so much macroalgae floating on the pond surface, the pond will be a lot more attractive. Please remember that this is an experiment! We will not be able to harvest all the macroalgae from the pond nor do we know if the removal will significantly reduce the amount of nitrogen and phosphorus. We look forward to keeping everyone apprised of the progress and findings and we hope you will welcome the new boat to the pond. Also it is important to remember that macroalgae is not toxic. It is not the same thing as the toxic blue-green algae which is microscopic and turns the water a blue-green color.